The field of veterinary medicine in the 21st century is one of the most exciting medical professions in which to work. The skills of a veterinarian are practiced with cutting-edge technology and treatment options, and the profession offers a wide range of career choices. 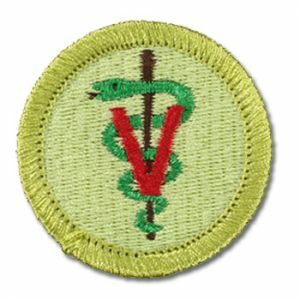 Requirements 3 and 4 MUST be completed before you attend your merit badge day class. Failure to do so may prevent you from completing your merit badge.